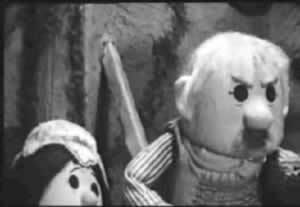 Somewhat politically incorrect in his non-the-less affectionate and loving relationship with Mrs Pogle, his voice was loosely based on a mixture of rural accents. 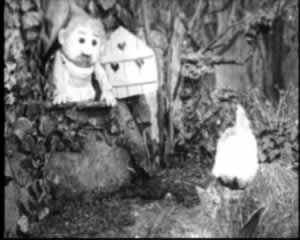 Mr Pogles first name was Amos. 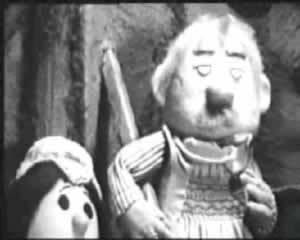 The Pogles powerfully conveyed many different emotions through facial expressions and voice.